Did you know that vitamin D, also called the sunshine vitamin, is crucial for good energy levels and experiencing joy in life? In other words, a vitamin D deficiency can leave you feeling tired, lacking in energy and even depressed. This may explain why we have a natural desire for sunny weather. The biggest portion of our vitamin D is made through unprotected sun exposure. The question is: Do you still dare to get unfiltered sun exposure? Since we’ve been told that sun exposure can cause skin cancer, we either avoid the sun or use sun screen which means that even on a sunny day we cannot make the vitamin D that we need. If in addition you live in a country with little sunshine, chances are high that you are vitamin D deficient. 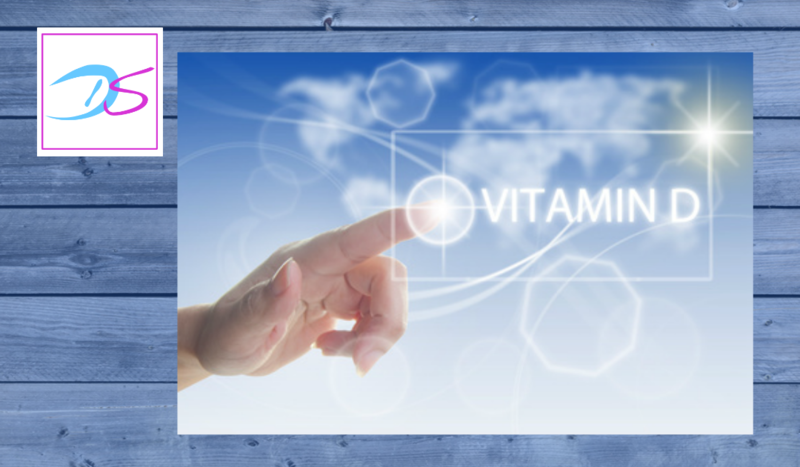 A 2011 study in an regular GP’s practice in Belgium showed that 67% of the patients had a vitamin D deficiency (Integrative Health Blog states a deficiency in 20 – 80% of US, Canadian and European adults). Vitamin D is also crucial for strong bones as well as for preventing and treating heart disease, cancer, diabetes, obesity and autoimmune disease. More recently vitamin D levels have also been connected with Alzheimer’s disease and brain health in general. Since vitamin D also plays a role in getting the thyroid hormone T3 to communicate with your DNA to regulate metabolism, it may also promote weight loss. Wow, that’s a lot of “stuff” that can be impacted by just one vitamin, don’t you think? The great news is that by making sure you have enough vitamin D you can not only increase your energy levels and joy of life, you can also help prevent a lot of chronic disease and may well give your metabolism a hand. If you are looking for one easy thing to improve your overall health, the sunshine vitamin could be your ticket. You vitamin D level is tested in your blood. Maybe you have the results of a previous blood test at home? Look for vitamin D 25 (OH). Also take a look at the reference range which will say something like 20 – 60 ng/ml. Acording to doctor’s like Dr Mark Hyman and Dr Michael Holick, a leading authority on Vitamin D, optimal levels are between 40 and 65 ng/ml. Dr Hyman says “In the future, we may raise this “optimal” level even higher”. If you have not had your vitamin D level tested in the past, now is a good time to do it. If you are deficient after the summer months, chances are that your levels will go down even further in the winter months. Sun exposure – which for reasons explained above may not be enough even on a sunny day. According to Dr Holick, we cannot make any vitamin D from sunshine in the months from November to February if we live above a latitude of 32 North, in Belgium we are way above that. Dr Alan Christianson also points to the fact that we need the oils on our skin to draw in vitamin D from sunlight, so showering with soaps that strip away the oils may be just as inhibitive as sun screen. Consuming foods containing vitamin D, such as fatty fish (research shows that it needs to be wild caught fish rather than farmed fish), eggs, mushrooms and healthy foods fortified with vitamin D. According to Dr Weil, the amounts found naturally in food are not significant. Dr Holick recommends “1500 – 3000 IU of vitamin D a day from dietary sources, sensible sun exposure and supplements”. He adds that “it is important for women to take at least 2000 IU of vitamin D a day”. To ensure this level of intake, I find supplementation the easiest way. Should you choose to supplement, make sure you are getting vitamin D3 which might also be labeled as cholecalciferol. Here is to more sunshine, energy and joy in your life! To receive more tips on how to improve your health and your life enjoyment factor, click here.